We were a fortunate group. 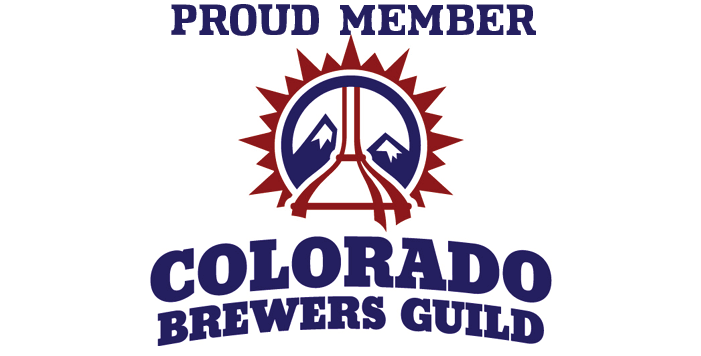 We lived in a beautiful state with over 100 craft breweries. No other state could even come close to boasting such impressive numbers. And as if that wasn’t good enough, about a dozen new breweries were opening each year. At some point during the evening the conversation shifted from beer to agriculture, which our valley was well known for. One of our friends was a specialty crop extension agent with Colorado State University. He had been conducting hops growing trials at CSU’s research station in our valley for a number of years. His story was impressive. A handful of varieties grew well and Colorado brewers were using them in their recipes. 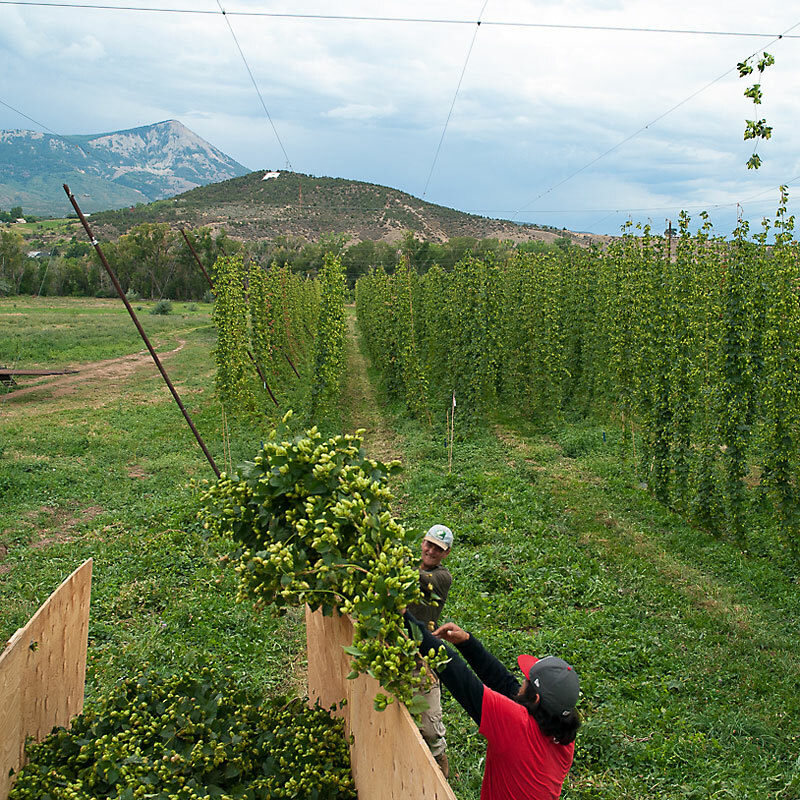 In addition, many of the state’s breweries were surveyed to gauge their interest in purchasing Colorado grown hops. The majority said they wanted to support local growers and were willing to pay a premium for quality hops. A seed was planted. I was an experienced grower looking for a new venture. Two close friends had a beautiful piece of agricultural land with fertile, river bottom soil, senior water rights and sweeping views of the West Elk mountains. The following spring we planted an acre to assess the viability. The results were encouraging. The plants were healthy, vibrant and grew incredibly well. 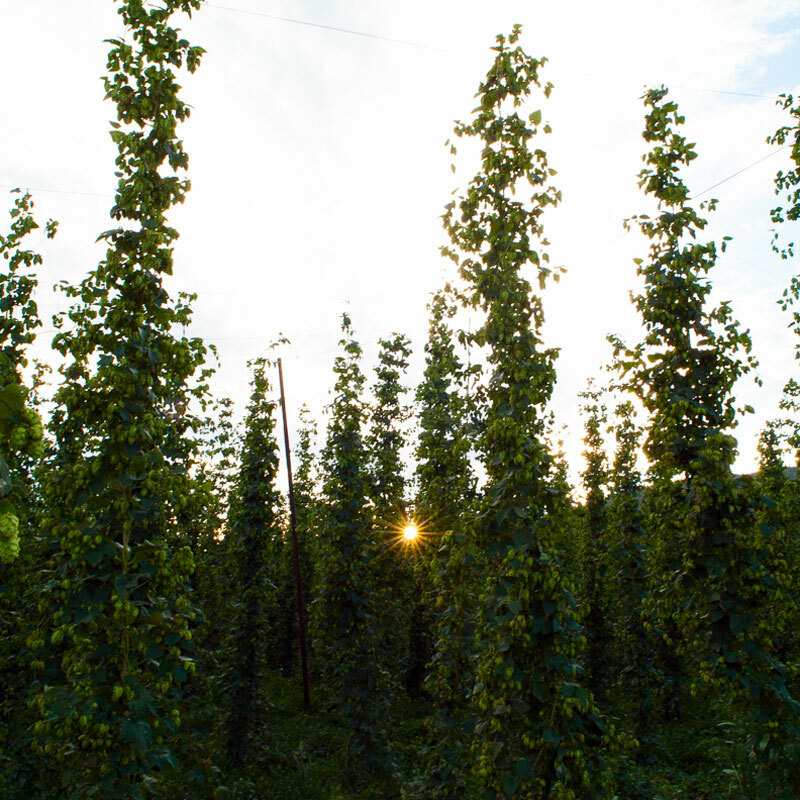 We’re pleased to announce that for the 2017 season we will have 8 acres in production and 4 hop varieties available.